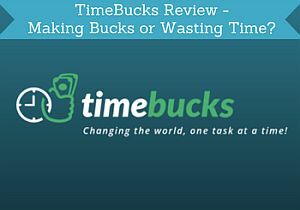 TimeBucks Review: Making Bucks or Wasting Time? If you have heard about TimeBucks, you probably know it is an online reward portal and survey site. But is TimeBucks legit and a site that can really make you some extra bucks, or is it just a waste of time? In this TimeBucks review, I will go over all the details about what the site has to offer, what to be aware of, and what my experiences with the site is. After reading this review, you will be able to see if it is worth for you to join, or if it is better for you to spend your time on other sites. What is TimeBucks and what does the site offer? TimeBucks offers quite a good amount of paid surveys. You can take surveys through a number of different providers while being logged into and get paid into your TimeBucks account. How many surveys that are available will however vary depending on the country you live in. But if you do not have a lot of surveys available, there are other ways to earn on TimeBucks. You can watch small videos and will get paid when you have seen a certain amount of seconds. Easy way to make a bit extra. But the rewards for this option are very low, so not an option to use to really boost your earnings, but nice to earn a bit, if it is a video you would like to watch anyways. There is an offerwall with access to a number of different offers. This can for example be to get paid to download apps, to sign up for a website, to test a product for free etc. Some of these offers have really good rewards. Most of them are also offered through other survey sites like PrizeRebel or ClixSense, so if you in general prefer using one of these sites, you can probably find the offers there as well. There is a daily short poll. You can participate once a day and will get paid for it. It only pays you $0.01 to do it, but it is also only one question that takes 1 second to answer. So if you are logged into TimeBucks, you might as well do the daily poll. This is another of the options that I have not seen on any other survey site I have tested. It gives you the chance to take a daily selfie and upload it, and get paid a little to do that. To use this option, you have to verify your account, by uploading a picture with a TimeBucks sign, so TimeBucks knows who you are and that you are not just stealing photos online and uploading them. Be aware that you have to agree to the terms and conditions to use this feature. The terms are that TimeBucks has the right to use the pictures in any channel or for promotion in the future. So if you are not interested in giving the platform the rights to your pictures, do not participate in this. Mining is an interesting way of making money on TimeBucks. Shortly explained it is a way where you can sell your unused computer processing power by keeping the mining tab open. Just by keeping the tab open, your computer will be used to mine cryptocurrencies. It might sound a bit complicated, but for it is is actually very simple to do. You just open a tab, and you can see a counter on how much cash you are earning by mining. You do not need to do anything else than keep the tab open, so it can even be done when you are away from the computer. It will not be a way where you can make a lot of money, but you also do not have to make any effort, and it is something anyone can do, not matter where in the world you live. The faster your computer is, the more money you will make, and you can run it on several devices at the same time. What ever you earn, you can get as cash into your TimeBucks account, or you can mine for raffle tickets for lotteries of up to $1 million. Under the mining tab, you can also claim a free raffle ticket every hour, so that is a great way to get some extra chances to win. You can view different content and get paid for it. Mostly it is different slideshows that you can see and you have to watch 10 pages to get paid. This can be quite entertaining as there are some great slideshows for example about come crazy puppy pictures, best MMA fights, shocking facts about celebrities, worst tattoos ever, etc. It will not make you a lot of money to watch these, but many of us probably often watch slideshows like this anyway for fun. If you enjoy content like this, this is an option to get paid a little to watch it. Timebucks offers several raffles where you can win extra money. Each raffle has a specific amount of entries possible, and as soon as that is reached, the winner will be drawn. You can use the earnings in your TimeBucks account to buy entries. There are raffles where you can win $1, $10, $50 and $500. One entry costs $0.01 and you can buy as many as you like. If you are lucky, this can be a great way to boost your earnings. You can choose to sign up for receiving email newsletters from TimeBucks once in a while. By reading these emails and clicking a link in the email, you can earn a bit of money. The amount you can earn depends on the content of the email and varies. You can invite other people to join TimeBucks and get paid a commission for this. You will get paid in 5 levels. That means that you will also get commissions for the people that your referred people refer. Not a high commission, but a little is also nice. TimeBucks also gives you the option to buy referrals. That means that you can pay and you will then start having new people that signs up, “under” you and get commissions for their earnings. You have to buy at least 30 referrals, and they cost $0.15 each. If this is worth it, really depends on how lucky you are. There is no guarantee how active the people that sign up will be. 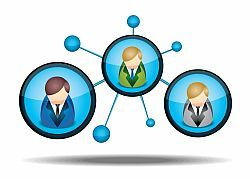 If you are lucky, the people that sign up and you get as referrals are very active, and you will make a lot of money from them. But if you are unlucky, most of them will just sign up but never use the platform, and then you will not earn anything from it. So it is a bit of a gamble, but might be worth testing, as it can be tested for a fairly small amount. You can use TimeBucks to advertise or get answers for a poll you want to make yourself. You can for example make a poll where other members will give you answers. You will pay $0.02 per answer and have to buy at least 100. Other members will then get paid to participate. It can be a great and easy way to get some feedback, if you have a company and would like feedback. You can also pay to get views on YouTube videos. Both options have the possibility to target the demographic you wish to. Every day, the top 5 earners on Timebucks will be rewarded with extra cash. First place will get $20 down to $1 for the fifth place. And it is not that difficult to earn enough to be in the top, so this can be a great way to make a very nice extra reward. As you can see, TimeBucks has quite a few options to make a bit of money. Every time you do a task on the platform, you will get paid in dollars. But once you have made money, how can you then use them or get them? TimeBucks offers a few different payout methods at the moment, which are PayPal, Payza and Bitcoin. Personally I love when survey sites pays through PayPal, as it is such an easy way to get your rewards, so I think it is great that this is offered on TimeBucks. But if you do not like PayPal, you can just use one of the other methods. If you choose to get paid in Bitcoin, you can get paid directly into the wallet of your choice. You can get paid once you have earned $10 which is a nice payout threshold. 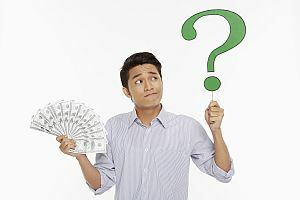 It is nice to be able to request a payout fairly quickly and not wait until you have earned a lot more, which is the case on some other survey sites. Your reward will automatically be paid out once you have reached the payout threshold, and Timebucks process these payouts once a week. How much money you can make depends on a number of different things. First of all, of course how much time you will spend on TimeBucks, and how many of the opportunities you wish to use. It will also depend where in the world you live. Some countries will have more surveys and wall offers than others. But because there are such a big variety of ways to earn, and many of them do not depend on your location, it is possible for everyone to make some extra cash. It will however be easier for you to earn, if you live in a country where there are regular surveys and offers on the offerwall. But be aware that as with any other survey site, you should not expect to make a living from it. You can make some nice extra money on the side, but if you expect to become rich, you will be disappointed. No matter where in the world you live, you can join TimeBucks. Which opportunities that are available will vary, depending on the country you are from. But compared to other sites, it has a large amount of opportunities even if you live in a country where there are not a lot of survey opportunities. 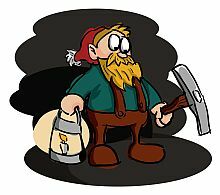 The content you can watch, the mining, the grow a beard challenge, the selfies, and the videos you can watch will be available for most countries. Yes, you can get support if you need help. TimeBucks has a support service that fairly quickly gets back to you, if you need help. And I have tested this myself, so I know the support staff is friendly and good at getting back to you, which is important for any service or platform. Let’s sum up the pros and cons for TimeBucks to get a better overview. Possible to join and get opportunities from most countries. Some extra features that you do not find on other sites. Some opportunities have very low rewards. In general, I am pretty positive about TimeBucks, and it is definitely a legit site. I think it is great that it offers some interesting and different opportunities, and also offers these for countries, where it is usually difficult to get many opportunities on survey sites. Some of these does however give very low rewards. But many of the things, are things we spend time doing online anyways, and then it can be great to get paid a bit to do. So if it will be worth for you to join depends on what you expectations are, and if you find the opportunities on TimeBucks interesting. It is very easy to sign up. Just click the button below, and you will get to TimeBuck’s website where you can sign up. It takes a few seconds to sign up. You just have to fill in your email, and a password and you will then receive an email you have to confirm. You can also choose to sign up with your Facebook account. If you have any comments, questions, or any experiences with TimeBucks yourself, feel free to leave a comment below. TimeBucks has some interesting features that are not possible on other sites. Also it has a good amount of opportunities for most countries, so no matter where you live, you will find opportunities here. However, not all opportunities has very high rewards. But overall a site that can be worth joining as an extra site. Hi. I want to know why I cant see Mining Tab in my Dashboard after the Roll Once Tab? Thanks. Looks like they have removed the mining tab as an option. They get new options and remove options regularly. I will make sure to update the review asap. how about registering url how to do it and what is the rate? Not sure what you mean about registering url – which earning method are you referring to? Thanks for the great review! People should not be asking support questions here. Please contact support through the support tab. We have a lot of new and exciting tasks coming soon! I always try to refer to the official Timebucks support, if people ask support questions. Looking forward to learning more about the new tasks coming. I am a user of Timebucks. I have generated 6$ from Timebucks, but 2 weeks back when I logged into Timebucks, and checked my account I saw my account balance was reduced to 3 dollars. How is it possible? Is it really a payable site? or does this site play with our hardworking time? Sorry to hear about your experience. This is definitely not something that usually happens in my experience, and Timebucks is a site that pays. I have however noticed that it has had some problems with the accounts sometimes suddenly showing less, but because of an error in the system, and then it is quickly corrected again. If you still only have $3 on your account, I would advise you to contact the Timebucks support directly and make them aware – maybe there has been a mistake in the system. And feel free to keep me updated here on how it goes – would be great to know if you get it fixed and get the money back into your account. We want referrals for getting paid? Not sure I understand what you are asking – can you elaborate a bit? But if what you are asking is if it is possible to refer other people to Timebucks and get paid for it, then yes – that is one of the ways you can make money there. If you meant something else with your question, please tell a bit more, and I will be happy to answer. Is it mandatory referrals for getting paid amount means if we do not have any referrals they are not paid to us? 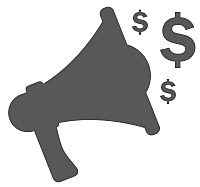 No, you do not have to have referrals to get paid on Timebucks. It is just one of the ways you can earn. You just choose the methods/tasks you like the most and do them, and then you will get paid for those. Time bucks refused payments for PayPal accounts is there any other option for getting payments? Timebucks also offers to pay out in Bitcoin. Also, I have heard they are working on getting PayPal to work again, so hopefully this will work correctly again soon. Kindly ask a question about timebucks – is it still paying or may be not paying? Right at the moment Timebucks seems to have some problems with their PayPal account. I have however been told that they are working on it and are expecting to have it fixed soon and open up for payouts through PayPal again soon. Until then they still pay out in Bitcoin. If you can make that on Timebucks depends a lot on the country you live in? To make $5-$10 per day there, you need to live in a country where Timebucks offer a decent amount of surveys available. If you do that, it is definitely possible to make that per day. And if you then combine it with other survey sites as well, you can easily reach that amount. If you live in a country where Timebucks do not offer many surveys or paid offers, it will be difficult to reach that amount. You have blocked me, how do I get you to unblock me? Do you mean that Timebucks has blocked you? If that is the case, the best you can do is to contact Timebuck’s official support. The email is support @ timebucks.com. Hope you get it resolved as soon as possible. starting time of receive payment id 12:00 am newyork time Wednesday..Tell me about the end time 12: 00 am to ???? Don´t understand your question – can you tell about more and then I will do my best to answer? There is a certain number of tickets available for each draw. Once that number has been reached, the draw will happen immediately, and the winner will receive an email. How many tickets that are available depends on the prize. There are less tickets that needs to be reached for the smallest prize to be drawn, and the chances of winning here is then bigger. When you go to the raffle section, you can see how many tickets are left before the next draw. Be aware that you can get free raffle tickets in the mining section. Hopes this helps, and feel free to ask again if you have any more questions. Thanks for very thorough rundown on what TimeBucks offers. They seem to have a very wide portfolio of income earning strategies, better than I have seen from other organisations. I have bookmarked them for further investigation to see if they have something I am really interested or I may just do a trial with them and gamble any income away in their raffle, if I decide to opt out again. Great job in finding this earning stream. Great review on TimeBucks, I think it’s great that there are programs like this which can help people earn some extra money. I also think it’s great that you can earn money from doing a number of different things. However, I dislike this program because you can’t earn enough money to make a living, so I don’t think this program would be suitable for me. Thanks for your comment. No if you want to make a full-time income, TimeBucks and surveys are in general not the way to go. But for people that are looking to make some extra money on the side it can in my opinion be a great way. And also the only way to make a bit of money online without any investment or training at all.